The show runs through January 5, 2014. 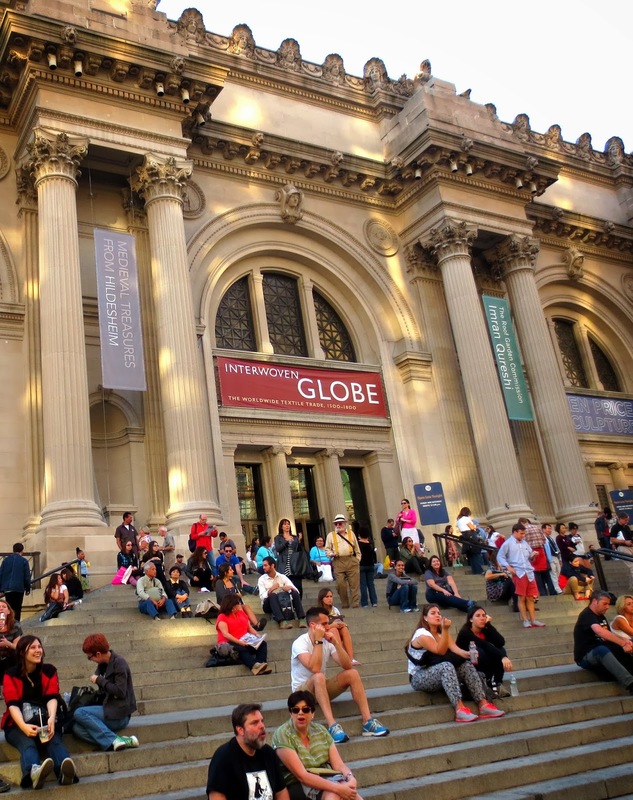 The exhibition is an amazing overview of more than three centuries of art, commerce, and craft . 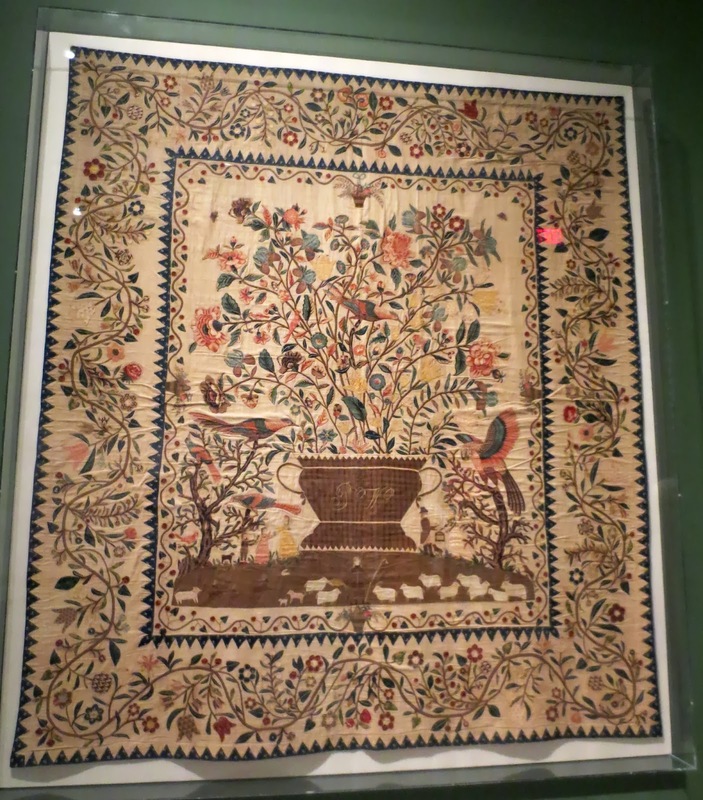 The items on display show how trade between different cultures and countries inspired and changed the way cloth was produced and designed, from the techniques and materials used to the designs and colors found decorating the cloth. 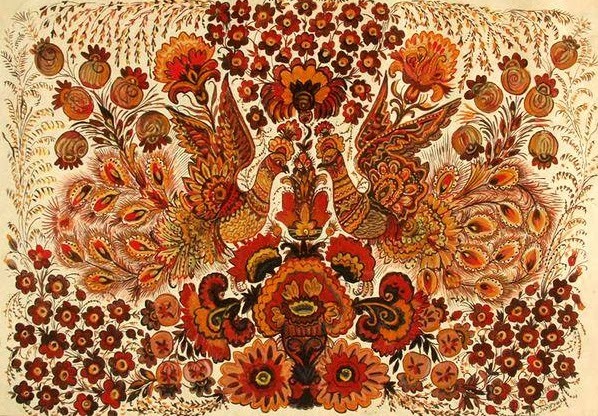 The designs on European-made textiles often served as models for Chinese and Indian artists, and the combination of Asian and European motifs resulted in novel designs that were especially popular in the West. By the end of the seventeenth century, objects imported through the well-established maritime trade routes between Europe, Asia, Africa, and the Americas served as conduits of information about the cultures that produced them. 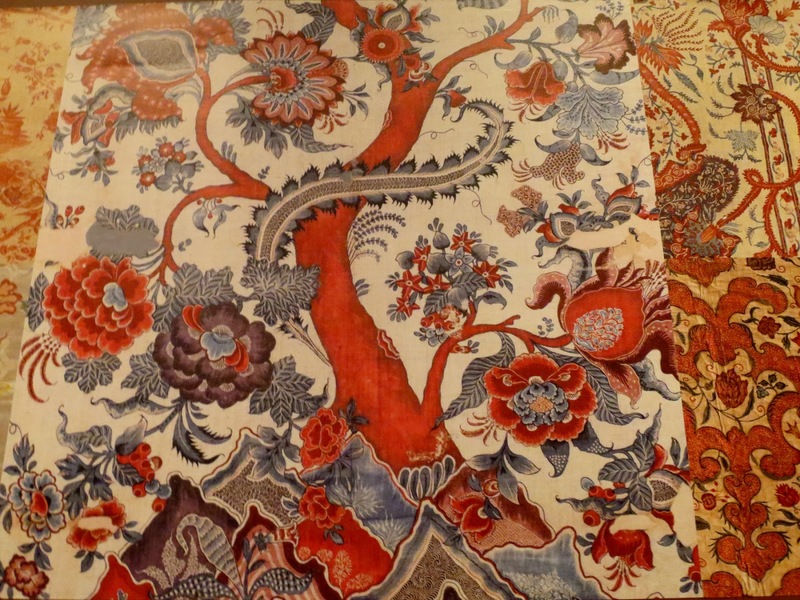 Textiles that moved around the globe stimulated an intense interest in what was deemed "exotic." Images of fantastic flora, fauna, architecture, and people show how Europeans imagined China, India, and Turkey. The resulting designs and artworks demonstrate a shared curiosity between East and West. 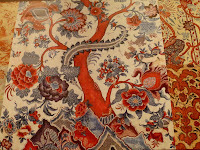 In the eighteenth century, laws protecting the English textile industry prohibited residents of the British Isles from purchasing the Chinese silks and Indian cottons imported by the English East India Company. 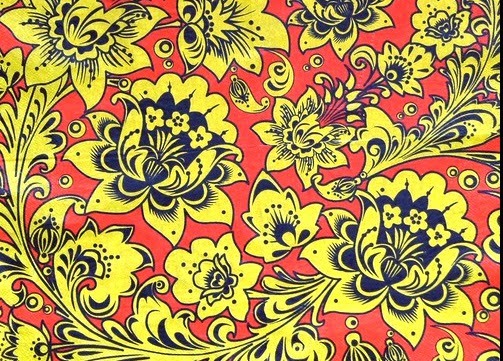 These exotic textiles could, however, be legally re-exported to other regions. Ironically, the English had to dress in domestically produced imitations of Asian textiles, but colonists New York could have the real thing. After the Louisiana purchase of 1803 the demand for imported Indian chintzes and muslins drastically decreased. 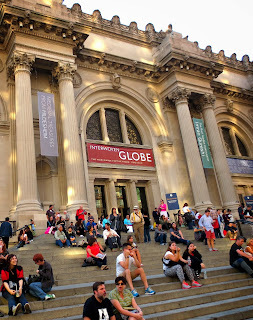 The exhibition is organized by geography and theme in nine galleries. There are quilts and bedcovers, tapestries and wall hangings, shawls and capes, kimonos and vestments, jackets and lavish ball gowns made of imported silks. Most of the textiles are from the Met’s collection but have been exhibited rarely, if at all. 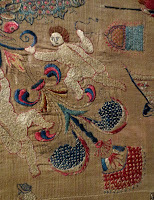 There are about 130 textiles and nearly 30 garments in the exhibition. 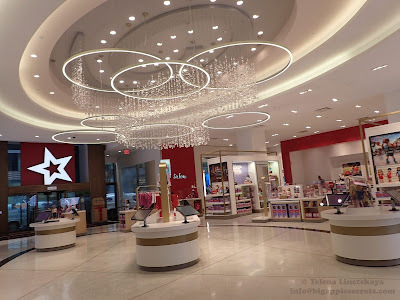 It is a real cross- culture experience and New York is the best place to have this show. You can find exhibition catalogue on Amazon, where you can also enjoy free shipping on it. What I found amazing is that the type of design that you can see on the eighteen century Indian bed cover (palampore) you can find all over the globe, even on the hohloma from Russia and the embroideries from Ukraine. 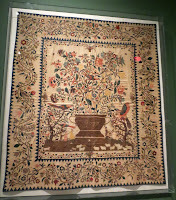 This type of dyed cloth was made in abundance in India for the European market in the late seventeenth and eighteenth centuries. 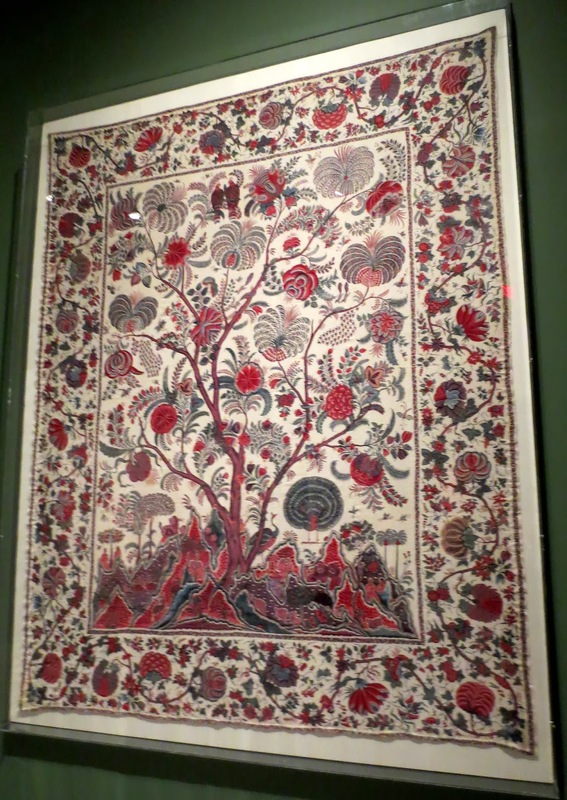 The size of the palampores conformed to bed sizes in Europe, and their decoration, often with a central tree laden with fruits and birds, combined elements from English embroideries, Chinese decorative objects, and Indian textiles. "NewYorker" said about this exhibition : "The show is more than a landmark in the study of decorative arts—it’s a model of how museums can deploy their collections in context"
The exhibition catalog for Interwoven Globe is a fantastic book for anyone interested in the history of all varieties of textiles. You can buy the book through Amazon with free shipping.